Secure network firewalls - Envescent, LLC. Cloud, cybersecurity, IT consulting and technology solutions. 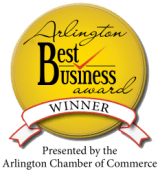 Our family business has served Washington, DC and beyond since 1999. Our state of the art firewalls are customized for your business. 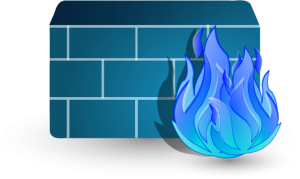 Protect your network against attacks with a secure firewall. Our firewalls are designed based on your network and security needs. Customization allows a perfect fit, balancing convenience and security in a way that protects your business’ sensitive information without interfering with productivity. Malicious hackers are constantly attempting to attack every device connected to the Internet. Threats can come in from attempts to access the remotely as well as from malicious websites, e-mail attachments and any other interaction with potentially malicious content. A customized network firewall can help to detect, block and warn about these threats in real time. Preventing data breaches not only saves money and time, but it will also save a business from having its reputation potentially ruined. Many networks have trouble balancing the difference between requested and available bandwidth. When too many users are active at the same time that can slow down everyone’s connection. Our firewalls also have capabilities for controlling bandwidth usage to ensure everyone has a fast connection as well as usage monitoring. We can help configure secure VPNs for employees to have remote access. VPNs help with employees on travel, telecommuting or having remote employees by allowing access to network resources such as file sharing, messaging, printing and VoIP (voice over IP) from remote locations. Contact us today. We’ll be delighted to help secure your business’ network with a powerful customized firewall solution.